Sport is an obvious place to witness failure. The flipside of success, there is a winner and a loser. Sometimes there’s only one winner and a whole bunch of losers or failures. It’s better than Game of Thrones though as in that, ‘you win or you die’. Even at the sharp end of top-level sporting competition things don’t get quite that bad, even if it can feel like that to some people. Stade Toulousain are France’s rugby aristocrats, winning a record number of titles and being the joint owners of the best record in the European Cup with Leinster. Despite this historical record of success, Toulouse's triumphant period was now some time ago with their last Top 14 title in 2012 and their last European Cup in 2010. In terms of failure, their recent years have certainly been below par, none worse than the season where they finished 12th in the Top 14 and almost worst, delivered a stodgy, lumbering brand of rugby on the field that felt like a betrayal of their illustrious history. Spectators know Toulouse for their risk taking, their swashbuckling, for mavericks like Michalak, Poitrenaud, Castaignède and back to les anciens like Guy Novès and Jean-Pierre Rives. Failing to win is one thing. Failing to be true to yourselves, failing to respect your history and in sport, failing to entertain, are hard to forgive. Only one team can win each year. Everyone could entertain. That’s why Toulouse’s resurgence has been so compelling. The first green shoots came through last year when, having jettisoned some of the older, tired looking underperformers and backing a combination of academy players, exciting younger recruits and the odd gnarled veteran, Toulouse reached the semi-finals and more importantly, begun to play more like themselves. This season, that recovery has reached a sprint, heading up the Top 14 as the season reaches its closing stages and culminating with the heroic defeat of Racing 92 in the space station that is the La Defense Arena. Even watching on television elicited goosebumps as the teams entered the field to darkness before being assailed by smoke and lights, the cacophony of the roaring crowd and treating us to a genuinely mad game of rugby. The stadium may be the future of the sport, giving us guaranteed perfect conditions, an audiovisual extravaganza and the cheering sight of spectators mingling with the squads and broadcasters on the field afterwards, but it was the rugby that Toulouse played that appeared to be from the future. Maxime Medard burnished his legacy as an emblematic Toulousain by finishing off what could be the best try you’ll see all year. Romain Ntamack provides a link to the past with his heritage and his daring, zipping a left hander across to his young winger Lucas Tauzin who stepped in slightly before tossing up a no look back hander with insouciance that belied the fact that this was his first European start. This is rugby, but not as we know it ?? Sofiane Guitoune took play down the touchline, sensibly cutting in and brushing away some would be tacklers before finding Medard on the inside, combining some classic intelligent French timing with bravery and determination to force his way over the line. Toulouse play updated for the modern age. Recruitment has also been key to this revival and the previous emphasis on foreigners seems to have been replaced by more of a balance. 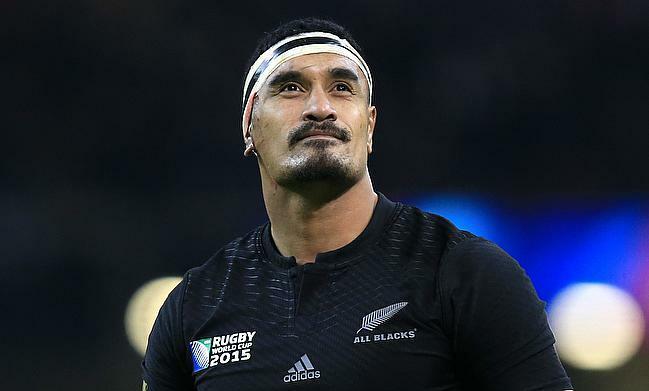 Jerome Kaino has been excellent since his arrival and his post-match interview showed him in the best light as he dished out hugs to Jamie Roberts and Lawrence Dallaglio, saying how much of an honour it was to meet the England legend. Considering his achievements in the game and his position as captain, this sort of humility can only translate to the younger, more impressionable players around him. The other man to mention is surely Antoine Dupont. His signing from Castres was seen as a bit of a coup at the time but his knee ligament injury last season deprived us of watching him at the business end of the season. He scored two tries against Racing and is surely now top of the class in the roll call of French halfbacks, even in the face of very stiff competition. Cheslin Kolbe arrived at the same time as Dupont and has been another excellent addition with his quicksilver footwork allying perfectly with this team’s intentions. The other reason that this resurgence is so delightful is in the involvement of former Toulouse stalwarts. You could spot Poitrenaud, Jean Bouilhou and William Servat, all recent legends of the club, now in assistant coaching roles as well as the head duo of Ugo Mola and Régis Sonnes who are themselves former players. These guys have an ingrained style of being a Toulousain that they’ve updated for the modern game and at the moment, they look like they’re on the up and up. Combining the tenets of classic Toulouse play and allying it with the knowledge of the professional game that the younger coaches bring seems to have been a masterstroke and there are hopes that this team could go all the way. Leinster will have something to say about that of course and they beat Toulouse in their home group tie back in January. Their experience could yet trump the exuberance that surrounds the Frenchmen but now, with the hard edge that they discovered away in Paris, surviving for most of the game down to 14 men while remaining positive and attacking in their approach, they will rightly believe that anything is possible.